Fairtrade Fortnight is about celebrating hard working people across the world and ensuring that they are getting a fair wage for all of their hard work and dedication. This year there is a special focus on the women, who work tirelessly to bring us the many products that we love. The Fairtrade #SheDeserves campaign made us think of our very own female farmer Karugari Venancie. A 73 year old master grower, mother and grandmother to 54. 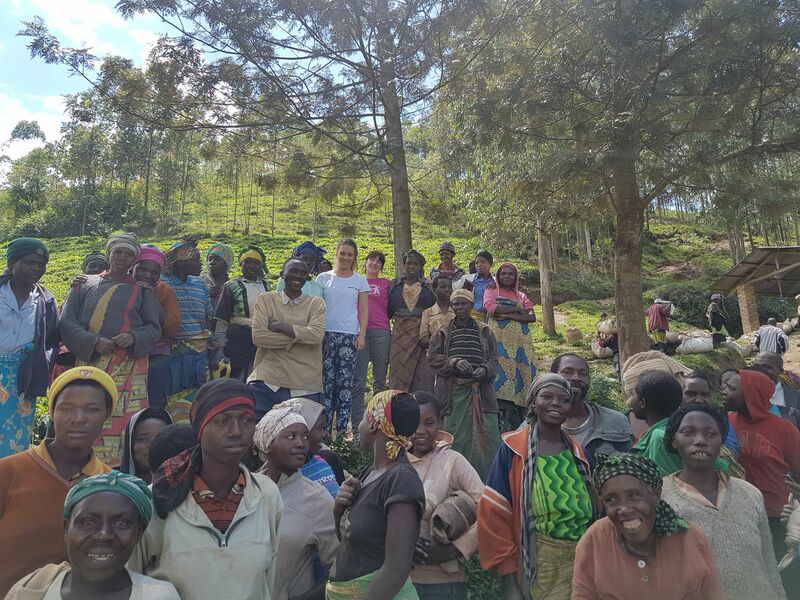 Karugari is the owner of the Sorwathé gardens of the Rukeri tea estate, Rwanda. Sorwathé Tea Plantation is set in the Rukeri Tea Gardens, located in the Gicumbi district of North West Rwanda. The factory has manufactured black tea since the late 1970s and in 1983 expanded its operations to become the single largest tea producer in Rwanda today, producing approximately 15 percent of the country’s tea and employing more than 2,000 workers. With its high elevation, rich volcanic soil and tropical highland climate, Sorwathé is the perfect location for producing a high-quality tea. 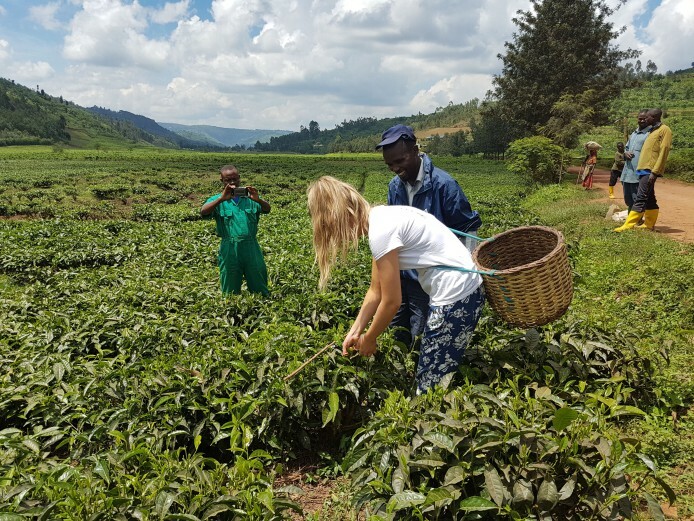 Much of the tea produced by the Sorwathé Tea Plantation is Fairtrade resulting in a premium price which allows the farmers to tackle poverty, improve the quality of their lives and invest in their futures. Around 10,000 families in the local area have benefited from a Fairtrade Premium Project that supplied clean drinking water to the community. 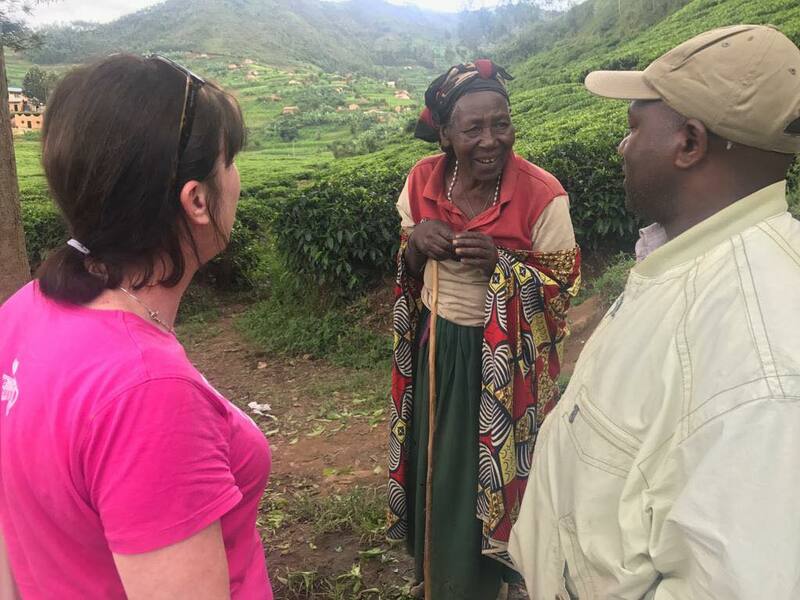 Zoë and Annie visited the Sorwathé tea gardens, they met many of the farmers whose lives we help to change by buying their tea leaves. 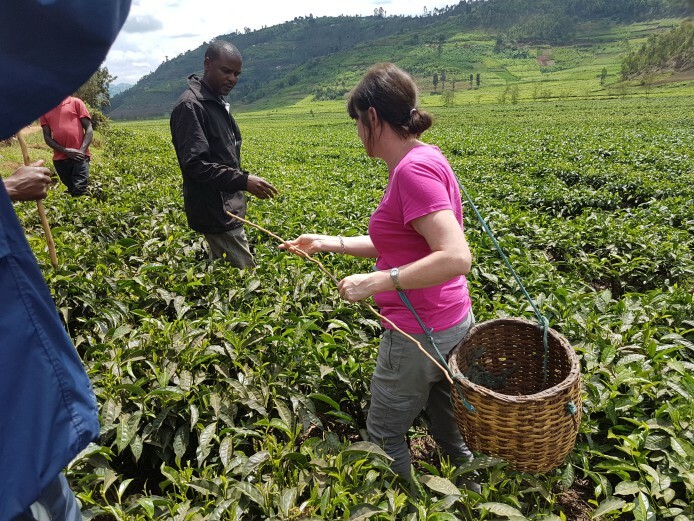 They spent the week getting to know them better, building relationships and of course helping to pick the tea leaves....however I think it is safe to say they were much, much slower than the pros! Zoë learning the art of tea plucking! Karugari's teas are part of the new Suki Editions range, they are extremely high quality and these extra special teas are limited edition. The perfect way to support Fairtrade! 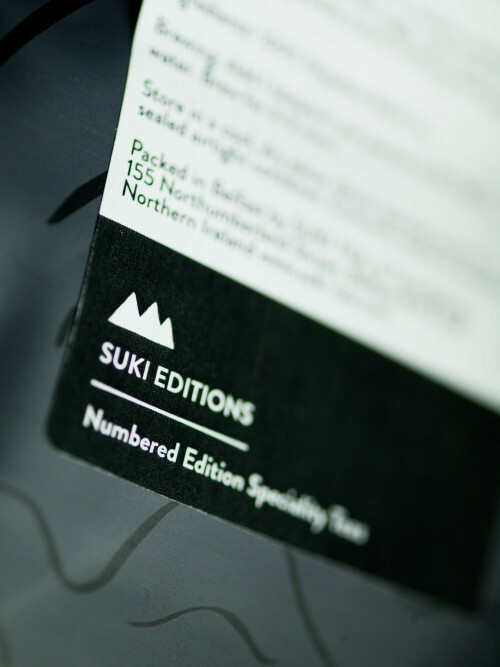 Suki Editions is our brand new range of limited edition, single estate, rare teas. We've travelled to Rwanda, the Himalayas and Japan and have even hand-picked some of these very special teas. Lychee and underlying grassy tones, finishing with light honey notes. Golden, Brisk & Bright with hazelnut notes. It pairs wonderfully well with lightly salted savoury snacks such as peanuts and almonds.